While Liz stands by you every step of the way as you buy or sell, she also has a top-notch team of professionals behind her so that every detail of a property transaction is handled by just the right person. 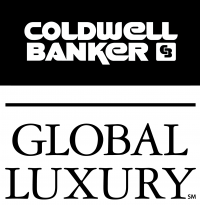 Coldwell Banker Global Luxury℠ is the backbone of Liz’s operations and is the company’s premier Bay Area office. Her Escrow Coordinator handles the paperwork maze, and, Liz’s Administrative Marketing Coordinator – will find Liz at a moment’s notice, making sure your concerns are a top priority. Liz has a sharp eye for detail and knows what the buying public looks for. Whether it’s taking a tired property and turning it into a sprightly starter home or staging a classic San Francisco mansion so that its sleek splendor dominates, Liz’s keen eye for design, elegance, and harmony can turn any property into a glorious showpiece. Coupled with her vision, Liz recommends the best stagers to her clients. Once a property is ready for viewing, Liz’s promotions team gets to work: a professional design group, photographer, videographer and sketch artist combine forces to create beautifully printed color brochures, additional printed material, and general advertising as well as photos, drawings and information for the many business-related websites that Liz uses, including her own. To complete any real estate transaction, you usually have a Mortgage Broker/ Lender to secure the best rates and loans and must have a Title Company to act as the clearing house for funds during the escrow closing period, insuring title, taking care of other vital document processing, etc. Liz will provide them all. 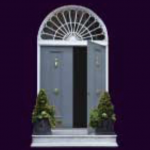 And – depending on the type of business at hand – Liz has at her fingertips a host of other professionals, such as Estate Liquidators, Cleaning Crews, Painters, Gardeners and Property Inspectors to get the job done. Liz only works with the best!